While volunteering at the Sâkêwêwak Artists Collective, I was asked to create a timeline of the storied organization’s milestone events. The organization wanted a timeline that reflected their First Nations ideals, opting for a circular design that reflected the Cree Medicine Wheel. 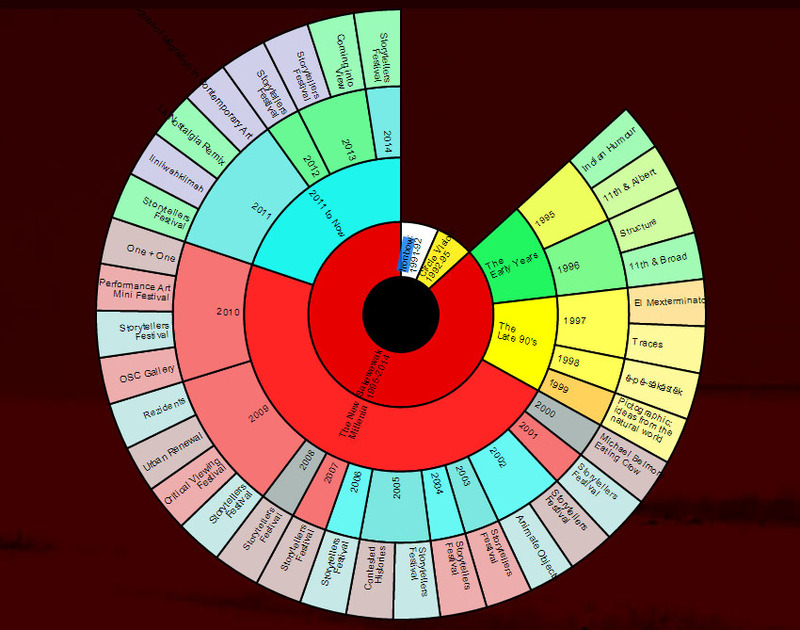 To create the wheel I used the D3.js data visualization library that utilizes JSON to store the application’s data. Had we had more time to develop this, I would have used a custom template within Squarespace to allow the organization to treat each timeline entry as a post to their blog. Perhaps for the next update. Note: as of 5/29/2015, Sâkêwêwak recently updated their site, breaking this page. I’ll be working with them to get it back online, shortly.